Bernett REI Finance offers hard money loans for fix and flip investors nationwide with rates that range from 9% to 17%. They’ll typically lend up to 85% LTV and up to 85% ARV. There are no available reviews online for Barnett REI. 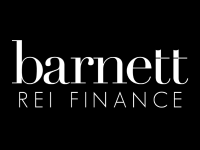 Work For Barnett REI Finance? Claim This Page.